观点洞察 - Do Chinese firms innovate? Much has been made of the “copied in China” story over the last 1-2 decades. That perception is starting to shift, but ever so slowly with a lot more to be done. In this note, I take a look at the status of innovation in China, China’s ranking vs global peers, and how our ETF, 3173 HK, takes aim directly at China’s R&D and innovation companies (product page here and overview page here). If you search “Chinese innovation” in Wikipedia, guess what you would get from the result? It shows Four Great Inventions that have existed for more than a thousand years: papermaking, the compass, gunpowder, and printing. Either Wikipedia is so obsolete that no one bothers to make any updates these days or China is still perceived as a developing country that relies on low-cost manufacturing solely. While some people may criticize that China is full of copycats and counterfeits, it’s also the same country that dominates supercomputer market share globally, launched the world’s first quantum satellite, makes the largest water-based solar panel farm globally, and develops the fastest bullet train running at 350kmh. For example, NextEV, the electric car start-up from China that not many people have heard of, took its NIO EP9 supercar to the Nurburgring in November last year and was able to set an extremely fast 6:45 lap time around the Nordschleife, making it the fastest car in the world. Its 1,360-horsepower engine propels the car from rest to 160 mph in 7.1 seconds. Although it may be uncertain whether a mass production version will materialize in the future, the spirit itself is needed for breeding innovation on China’s soil. The other criticism of China is that it excels in technological advancement of hardware only. Iflytek, a leading artificial intelligence (AI) company listed in Shenzhen A-share market, made a robot that passed the written test of China's national medical licensing examination, an essential entrance exam for doctors, making it the first robot in the world to pass such an exam. The AI-enabled robot can automatically capture and analyze patient information and make initial diagnosis. The initiative is part of broader efforts by China to accelerate the application of AI in healthcare. This has become necessary as China's aging society struggles to find adequate number of high-quality medical facilities. The recent events around ZTE, however, exposed one of the major weaknesses of current economic development in China. The US Department of Commerce announced a ban on American companies from selling components to ZTE, known for producing mobile gadgets and network equipment. It is a seven-year ban on buying American-made chips and components as punishment for violating a sanctions settlement. The event itself caused ZTE to halt trading of its stock in Shenzhen and raised awareness of China’s dependency on imported core technology. Yes, China has been quite successful in applying technology in recent years, but the most strategic fundamental technology is yet to be developed at home. 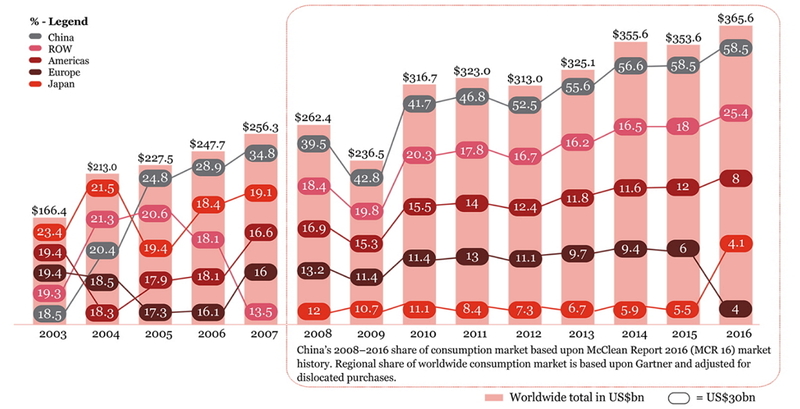 For example, the global semiconductor market reached USD 366 billion in 2016 and China accounted for 58.5% of total consumption, leading the worldwide semiconductor market growth for the six consecutive years according to the study of PwC. China has been relying heavily on international supplies for key components, advanced chip processors and some core software in telecommunication industry. The gap between consumption and production continued to widen in the past two decades with expected net imports of USD 115 billion in 2018 and 2019 each. The Chinese government made several attempts to build a local semiconductor industry, but none really took hold. The unsatisfactory results are a combination of (1) projects focusing on theory rather than commercial applications; (2) fragmented sub-scale investments with over 130 fabrication sites across 15 provinces at one point in time; (3) non-existent supply chain for the industry; and (4) a very bureaucrat-led approach unable to cope with market changes. Taking a closer look at the stock market, we find that China is still lagging the US, Europe and Japan in terms of total R&D spending by listed corporates. Among all the listed China A-shares in either Shanghai or Shenzhen, there are only 38 companies that have a R&D expenses to sales ratio exceeding 5% with an absolute R&D expense higher than USD 100 million. Applying the same criteria, there are 261 firms in the US, followed by 98 in Europe and 71 in Japan. 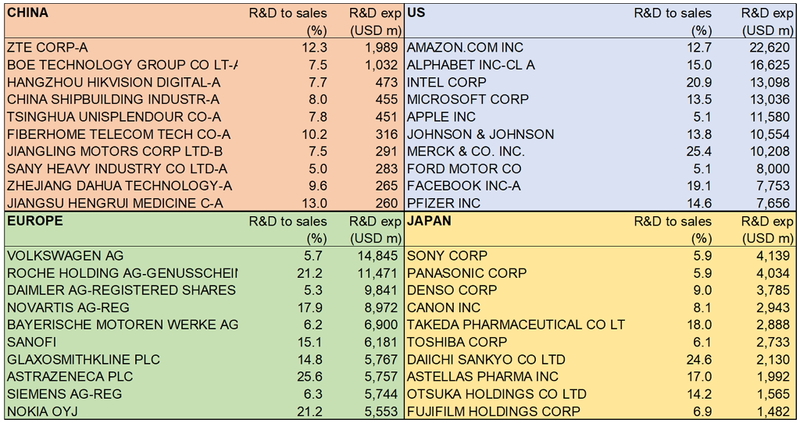 The difference in total R&D spending among these corporates is even bigger, e.g. USD 10.4 trillion in China versus USD 292.2 trillion in the US. After strong growth in the past few decades, China is now the second largest economy after the US. Both the IMF and the World Bank even rate China as the world’s largest economy on purchasing power parity. There is, however, still a long way for Chinese companies to catch up in R&D and to develop core technology. That’s said, there are a few encouraging developments lately. As part of efforts to reduce an overwhelming reliance on foreign technology, the Chinese government set up a fund that aims to raise up to RMB 200 billion, or ~USD 31.7 billion, to back a spectrum of domestic firms from processor designers to equipment makers. The China Integrated Circuit Industry Investment Fund Co. will even take foreign investment into the fund, which will be managed by professionals in allocating resources. This kind of market approach will help increase the efficiency and return of the funds. Patent granting is another yardstick to measure innovation capability. 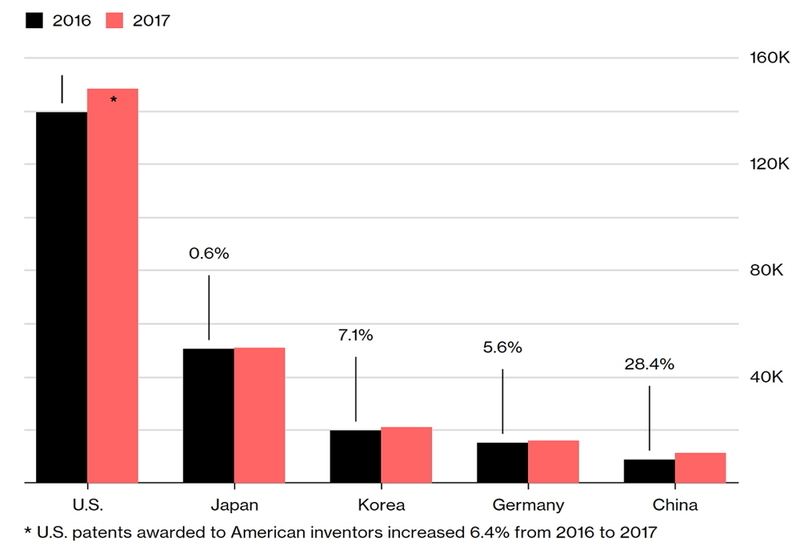 Chinese inventors received 11,241 U.S. patents in 2017, up 28% year-on-year, according to Fairview Research. That propels the nation into the top five recipients for the first time, behind the US, Japan, Korea and Germany, but ahead of Taiwan. On the capital market side, the Chinese Securities Regulatory Commission is also taking initiative in accelerating the initial public offerings for technology and innovative companies to support homegrown technological firms. Although the highlighted four areas, namely biochemistry, cloud computing, artificial intelligence and advanced manufacturing, do not include semiconductor for now, this effort does help to promote the ecosystem and a domestic supply chain in Mainland China. To complete a better environment for breeding innovation in China, investors in the stock market must play an important role too. For example, the share price of Gree, one of the leading white-goods manufacturers, dropped significantly after announcing that it won’t pay a dividend in 2018. 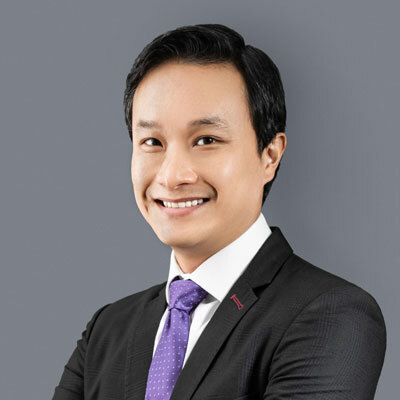 The company’s decision was due to future CAPEX plans in areas including automation equipment manufacturing, smart appliances, integrated circuit design projects, and mechanical bearing investments. Chinese investors must be patient and reward companies that are willing to invest for a sustainable growth in future rather than grabbing every penny in the short-term. I go into this detail because we frequently get asked by investors who look at blue chip stocks and CSI 300 constituents about the role our new economy ETF, 3173 HK, should play in their portfolios. The answer is quite simple – the above is hard to access via H-shares or even traditional blue-chip China A stocks. This is because most indices focus on market cap and do not take innovation and R&D into account. By contrast, we have R&D vs Sales explicitly built into the methodology of 3173 HK. For details, check out the overview page here and the product page here. The result of our approach in 3173 HK is a new economy exposure that prioritizes quality, profits and R&D, among other things. The stocks in 3173 HK have higher margins, more cash, greater R&D investment and lower fixed assets than the average A-shares stock. 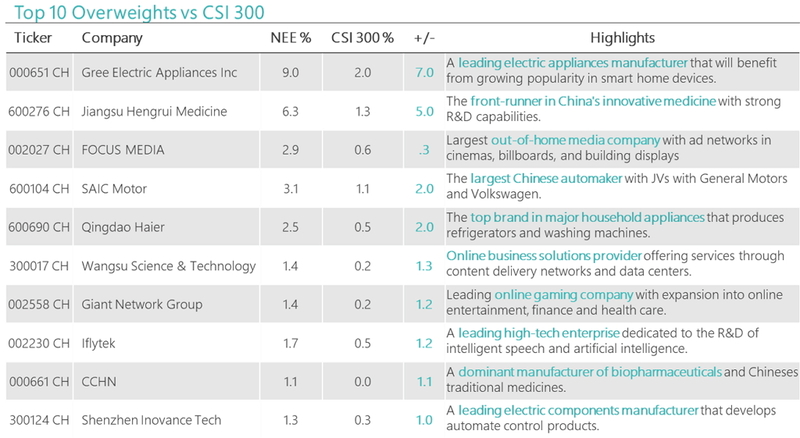 This focus on innovative sectors and innovative companies helps explain why 3173 HK is up 6.6% YTD as of May 15 (source : Bloomberg), while CSI 300 and FTSE A50 indices are negative for the same period. We believe this trend is likely to continue as long as China continues to invest in home-grown innovation, which is likely for the foreseeable future.